Here at Aspire, we provide exceptional service for these who suffer with neck, back or knee pain, using the latest technology. 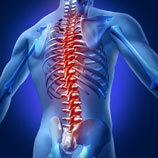 We also treat many other conditions, if it hurts we may be able to help. We provide an affordable alternative to drugs and surgery. Our goal is to help our patients avoid invasive procedures utilizing chiropractic, physical therapy and medicine as well as cutting edge technology (Spinal Decompression, Deep Tissue Laser Therapy). 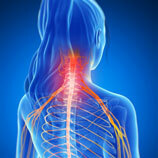 We have treated many patients suffering with neck pain. Whether you're suffering from bulging or herniated discs, stiffness, restricted motion, shooting pain down your arm, or just chronic neck pain, we may be able to help. Trust your care to a team of experienced professionals that use the most advanced medical equipment in the state of Kansas. 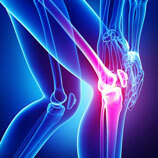 Millions of Americans suffer from Knee Pain due to osteoarthritis everyday. The pain likely affects everything you do, from work to play and ultimately your quality of life. At Aspire, we use some of the most advanced treatment options available including: FDA approved supplementation injections, deep tissue laser therapy, physical therapy and pain management, if needed. We at Aspire are all about helping you Get Back to Living. We understand how frustrating it can be to deal with chronic, several back pain, neck pain, and knee pain, especially when it keeps you from the things you enjoy most. For this reason, our chiropractors and medical professionals use the latest technology in physical therapy and chiropractic care such as spinal decompression, laser therapy, and more. Much of what we offer can be affordable alternatives to medication and invasive surgery. When Aspire’s chiropractors and physical therapists treat our clients, we create a care plan that not only treats their current condition, but also aids them in prevention of further problems in the future. Our entire goal is to give our clients hope, and to aid them on the road towards recovery so you can “Get Back to Living.” Our chiropractors and physical therapists treat young and elderly clients. Our treatment approach is all about the client: If we can not help you towards recovery, we will direct you towards a treatment plan that can. Questions about how we can Get you Back to Living? Contact us today!